Mega Man 7 was put in the unfortunate position of being the first mainline Mega Man game to release after Mega Man X and Mega Man X2 had completely revised the franchise formula. As a result, it ended up being a far less memorable game than most of its NES predecessors (even if it did have better box art). But that doesn’t mean it wasn’t a great, well-designed game that did some interesting things. 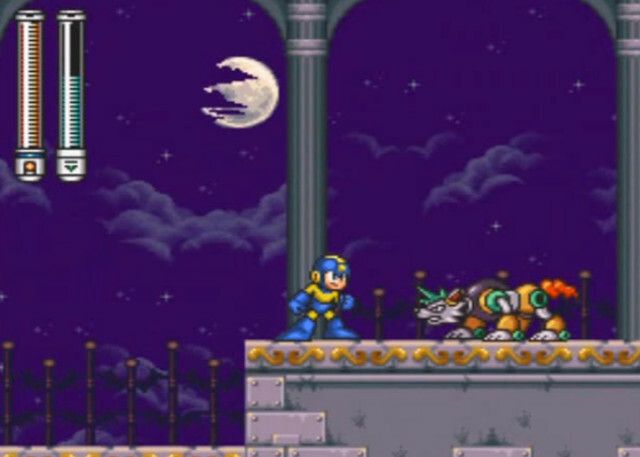 For example, there are werewolf-like robots in the Shade Man stage, and they become much easier to dispatch when the moon disappears behind the clouds and they revert into their knight-like form. Now, I don’t really know how the lore justifies this moon-based transition (what benefit does lycanthropy give that would cause the builder of such robots to include it in their design? Perhaps they draw some of their power from the moon? ), but from a gameplay perspective it’s actually a really cool detail that feels very much in the spirit of previous Mega Man games. This stage is also cool because it contains an audio Easter egg: You can play the stage to the Ghosts ‘n Goblins theme music (a tune we at Retrovolve have a great fondness for).